With a decisive majority of over 54% of voters, in a hotly contested election that saw a voter turnout in excess of 80%, Hugo Chávez won yet another six-year term as president, in elections that were free, fair, praised for their transparency and efficiency, and with the will of the people endorsed and recognized by the losing candidate, Henrique Capriles. This is another democratic test, among many that Chávez has won, and it reaffirms that among Venezuelans socialism remains the popular choice. Now, if only Washington would for once respect the will of Venezuelans, and not waste more of its taxpayers’ dollars (and/or borrowed dollars) on trying to unseat freely chosen leaders. Also, it might be worthwhile for Western media such as Reuters, AP, the New York Times, CBS, Fox, and a range of Spanish media, to publicly give an account of why their stories were consistently framed in an anti-Chávez narrative that in some cases even belittled Venezuela’s democracy as a dictatorship, and that sometimes overplayed a small minority of opinion polls and exit polls that favoured the opposition. Gracias a mi amado Pueblo!!! Viva Venezuela!!!! Viva Bolívar!!!!! Gracias Dios mío! Gracias a todos y a todas!! Chávez ganó elecciones en Venezuela. 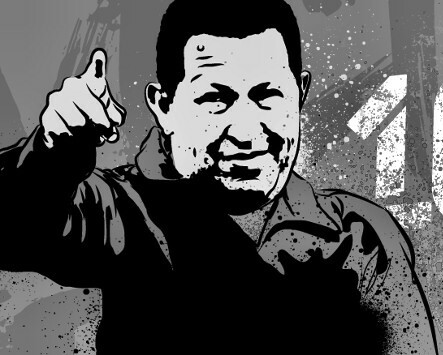 7 October 2012, TeleSur. Chávez Presidente reelecto. 7 October 2012, Olabolivariana. US: $20 million for the Venezuelan opposition in 2012. Postcards from the Revolution. Si, en el socialismo venezolano, el Pueblo tiene el poder. Pero, en la revolucion capitalista de los yanquis, la gente recibe la factura!